​​LaMelo Ball announced his return to high school this week, but he's already thinking about college. The youngest Ball brother has said that he would like to play for one of the top college basketball schools in the nation. The five options he listed are the usual suspects, filled with elite talent and premier head coaches. It's clear that Ball is interested in joining a school that's a title contender virtually every year. ​​It's unknown, however, if any of these programs and/or coaches will want the distraction of a Ball among them. As every basketball fan knows, the price for one of the Ball brothers is ​the boys' loud and boisterous father. Before LaMelo even stepped on the court for his new high school, his dad LaVar has already made absurd claims. ​​The patriarch of the Ball family is a headache for everyone he comes near. 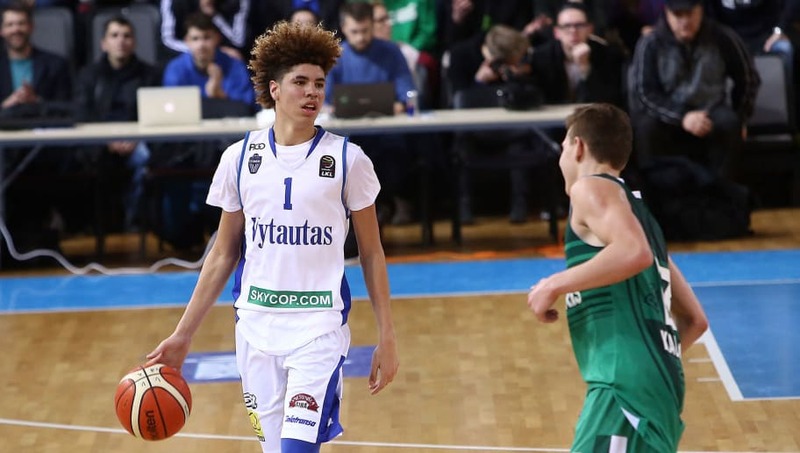 LaMelo is undoubtedly talented, but established coaches like Mike Krzyzewski and John Calipari will not want to put up with the teenager's father chirping to the media just about every game. As usual, the saga of this family continues to entertain. Regardless of your opinion on them, the Ball family is nonstop entertainment. Even though he just arrived at his new high school, all basketball fans will be watching to see where LaMelo ends up next. Wherever he goes, you can count on his obnoxious dad tagging along too.